In the ten year period following the Dayton Peace Accords (1996-2006), the international community invested $290 million in media development. Still, twenty years after the wars, Reporters Without Borders’ 2015 World Press Freedom Index ranks Serbia 67, Montenegro 114 and Macedonia 117 out of 180 countries; IREX’s Media Sustainability Index lists countries like Macedonia and Serbia in the “unsustainable” category. 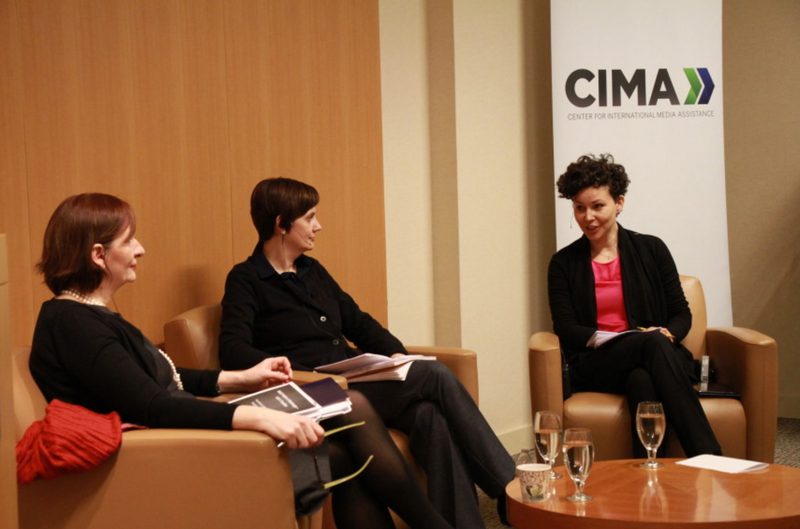 To debate about the precarious situation of media in the Balkans, the Center for International Media Assistance (CIMA) hosted a discussion in Washington on the 2nd of April. The panel chaired by Ivana Cvetkovic Bajrovic, National Endowment for Democracy (NED)’s senior program officer for Europe was composed of Marija Sajkas, Head of Development and Operations of MDI New York and Milka Tadic Mijovic, co-founder and editor the Monitor, Montenegro’s first independent weekly. “In Montenegro many of my colleagues are physically beaten; some of my colleagues are killed. Many of these cases are never solved,” said Ms Tadic Mijovic, who was one of the first journalists to be fired for having criticised Milosevic, and has been named by Reporters without borders as one of the 100 information heroes. Being a journalist in the Balkans, however, is not always dangerous. “It depends on who you are working for. If you are working for mainstream media, you do not have much problem,” she continued. If you are trying to report in the public interest in Montenegro, such as those outlets that have exposed the connections between those in power and the heads of organised crimes, you will have hard life. 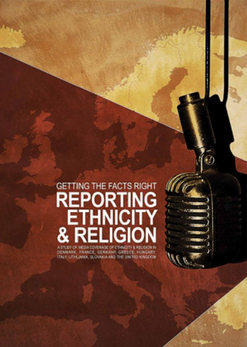 “During the war we had a stronghold of independent press,” said Marija Sajkas, “press that was on a par with Western press: investigative journalism, reliable (or mostly reliable) sources of information, cooperation across the borders [...], and people believed the press.” Today – continues Ms Sajkas – despite the high numbers of media outlets (1,300 outlets only in Serbia), investigative journalism is almost non-existent and is mostly confined to the online information; people have a low consideration of the role of the press; and government influence in the media is heavy. Paradoxically, the closer some Balkan countries are to the NATO and the EU membership, the further they are from an acceptable level of freedom of expression, Ms Tadic Mijovic pointed out. More worryingly, “many of the outlets that astonishingly resisted during Milosevic’s time are now dying in these countries, especially in Serbia,” she said. One of the obstacles is the shortage of funding – and a subtle form of pressure that is closely linked with the financial resources. Government advertising is the main source of revenue and income for a number of media, which are loyal to the government or at least avoid reporting on thorny issues. Independent media outlets, not relying on state funding, seek advertising from foreign private company, which is generally done through marketing agencies. Still, these agencies are tightly connected with people in power. Moreover, marketing has now a heavy influence on papers with marketing directors holding a stronger decisional power on the content, from photos to text. To explain the situation in a nutshell, “my colleagues (media professionals ndr) throughout the region still don’t think that their reporting would bring money and don’t think that they should report for people. They are reporting for advertisers, for government, or for donors,” Ms Sajkas said. More constructively, there are some actions that would be helpful now to improve the situation in the Balkans. For Ms Tadic Mijovic, the fight against corruption is the priority, and donors should focus on supporting media engaged in this battle. For Ms Sajkas, regional cooperation is the key for sustainable peace and prosperity. An example? An initiative done by media association of Bosnia and Vojvodina (Serbia) see journalists work on “living together” stories, highlighting the joint lives of people of different countries during the war. Watch here the full video of the discussion.